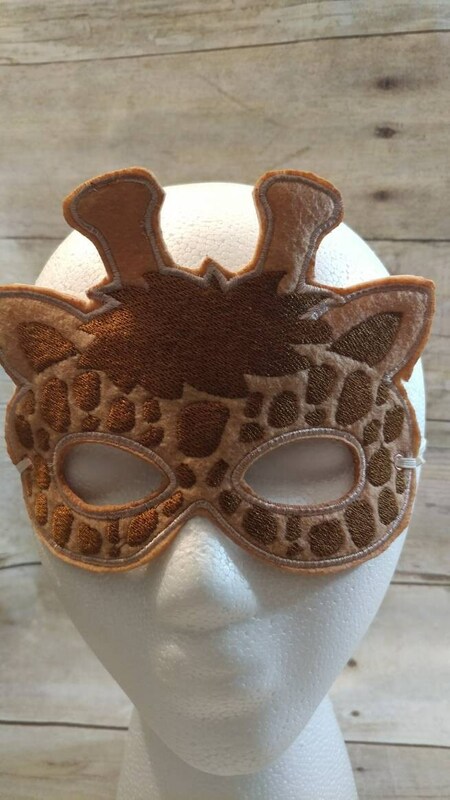 Kids felt giraffe mask that's great for any occasion. Perfect for the days your child wants to pretend play or dress-up. 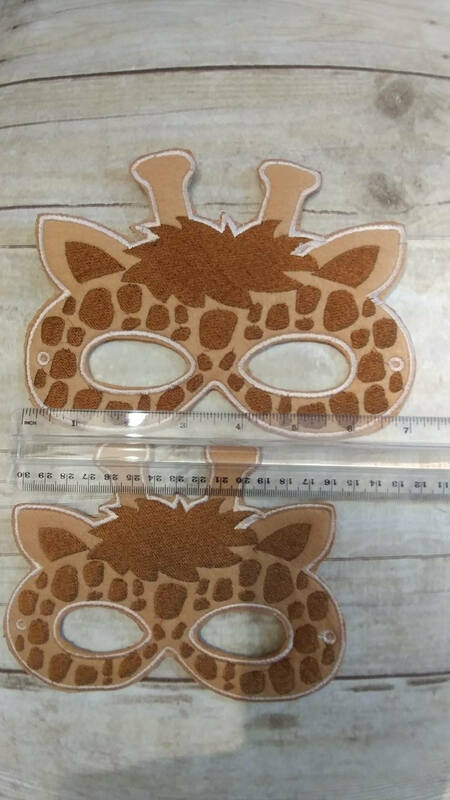 This kids mask can be used by both boys and girls. 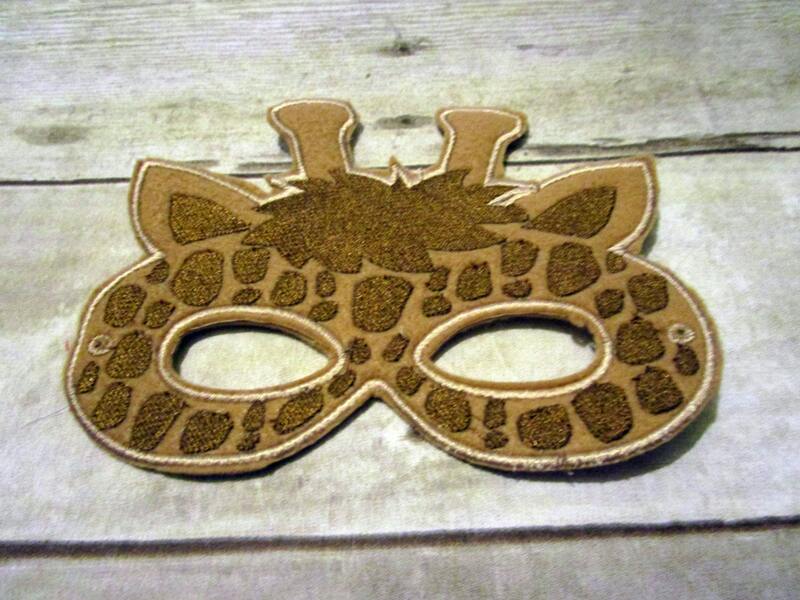 This animal mask has an elastic around the back for easy on and off. Made with soft, eco friendly felt. Will fit from toddler to about 10 years old. It is about 4 1/2 inches high and about 6 wide. 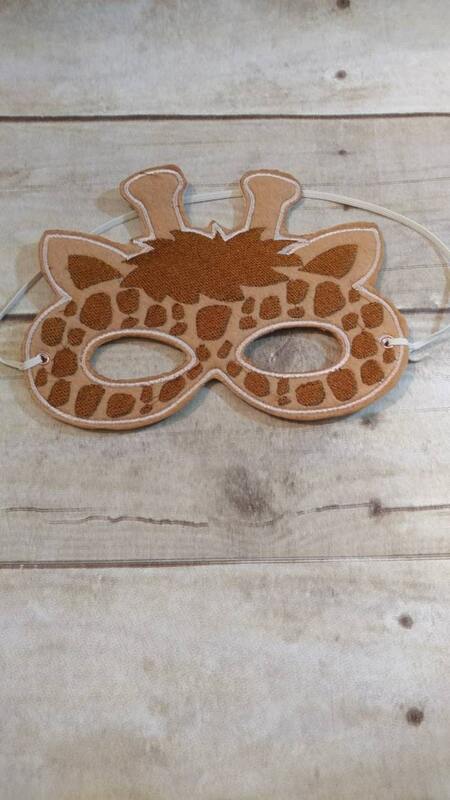 Your child will have hours of fun, imaginary play with this handmade giraffe mask. 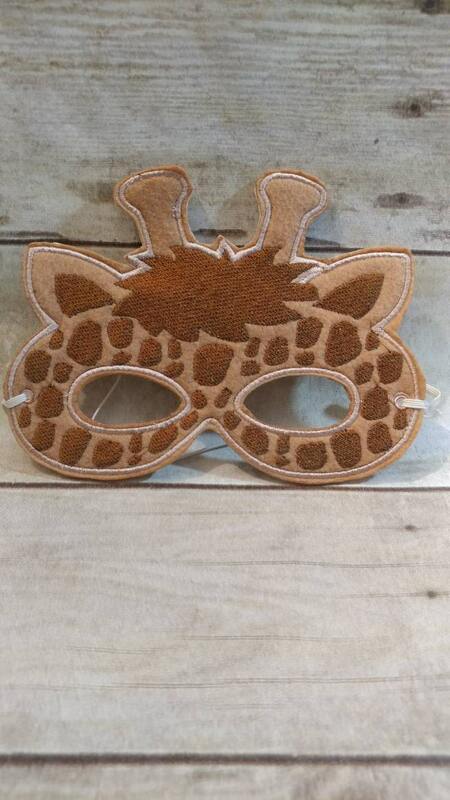 This felt mask is perfect for trick-or-treating or everyday pretend play. This mask is also available in an adult size.